CELTIC's mini-crisis will become a full-blown one if Brendan Rodgers loses his first cup-tie tonight. The manager has won six trophies in a row and remains favourite to make it a magnificent seven in the Betfred Cup. Celtic are a biggest 10-11 at 10BET but Rangers look better value at 17-5. Premiership leaders Hearts are 14-1 at McBookie. Rodgers takes his men to St Johnstone tonight and they are priced as they were at Killie on Sunday. I said they were too short and my Sunday Super Single was Killie draw no bet at 6-1. Saints are a best 7-1 at Marathonbet while Saints draw no bet pays 9-2 at bet365. I have no faith in Celtic at 9-20 with Marathonbet but I get the impression it's a must-win game. 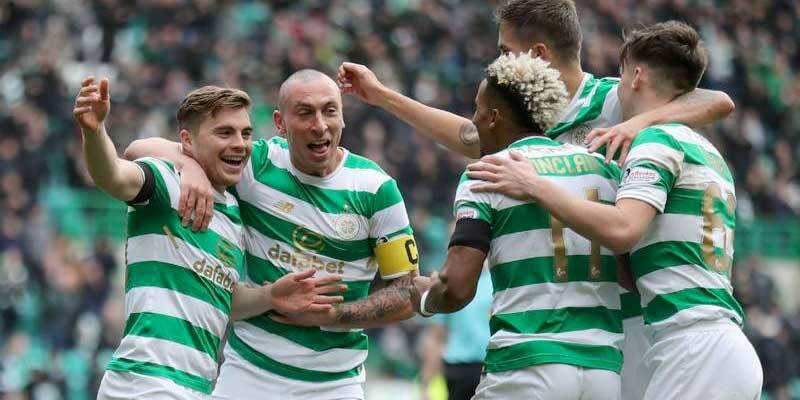 Defensively they were poor against Killie so best bet could be both to score at evens with sportingbet while Saints +2 is worth a look at 4-6 with Ladbrokes. Four of the last five at McDiarmid have gone over 2.5 with Saints scoring in three of the previous four. Leigh Griffiths has struck in his last two games and is 15-4 at bet365 to net first and evens at McBookie to net at any time. Rangers hammered Saints 5-1 on Sunday and are just 1-5 with bet365 at home to Championship outfit Ayr. Steven Gerrard is likely to make changes but his side should win well. Gers have netted nine in two home games while four of Ayr's last five have gone over 2.5. Over 3.5 match goals looks the best bet at 11-10 with Marathonbet or take over 2.5 on an acca. Hearts' lost their 100 per cent league record against Livi at the weekend but can bounce back to beat Motherwell. The Jambos won at Fir Park a fortnight ago and are a best 4-5 with McBookie.